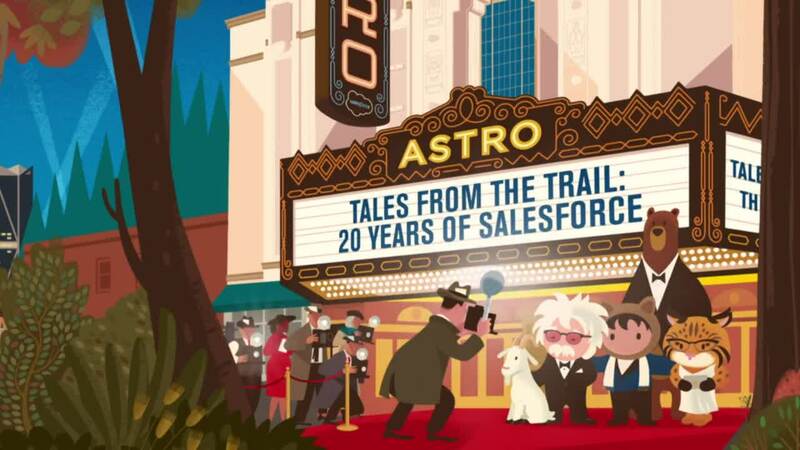 In 1999, Salesforce began in a small one-bedroom apartment in San Francisco, California. Marc Benioff, Parker Harris, Dave Moellenhoff, and Frank Dominguez envisioned creating a company with three breakthrough ideas: pioneering a new technology model in the cloud, a subscription business model, and an integrated philanthropy model. They started by building a sales tool called customer relationship management (CRM) that was as simple for everyone to use as Amazon. Mr. Gore Goes to Dreamforce: Salesforce’s sustainability team recalls hosting Dreamforce’s first climate summit. How Advice from Steve Jobs Inspired the AppExchange: Find out how two tech leaders collaborated in the app economy. Flashback: Oracle OpenWorld 2011: Your keynote gets canceled? What do you do? The Moment we Honored MLK as a Company of Allies: Learn about the power of allyship and how we went from 100 to 1,200 people attending the annual Martin Luther King Jr. march in two years. 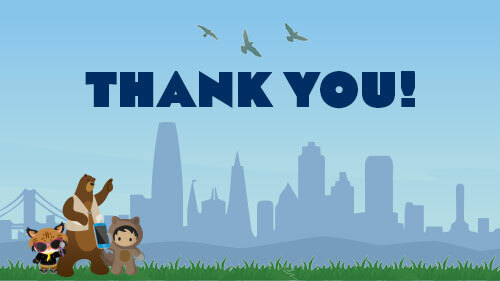 So today, we want to say thank you to our Salesforce family and our community of Trailblazers. We couldn’t have done any of this without you. We've been able to accomplish so much over the last 20 years — together. So that’s why we're excited to celebrate our 20th birthday with you! Pitbull takes the stage as an enthusiastic crowd cheers on Salesforce Plaza in San Francisco. Salesforce employees enjoy the midday concert on a bright, chilly day. Salesforce co-founders Parker Harris and Marc Benioff speak to the crowd Friday at Salesforce's 20th birthday celebration in San Francisco. Nearly 1,000 employees gathered midday Friday in Salesforce Plaza as cupcakes were handed out and Salesforce characters mingled in the crowd. No announcement had been made as to who the performer would be, but rumors circulated. With that, the crowd erupted as Pitbull stepped onstage looking dapper in his signature suit and sunglasses. “It's time to party!” he exclaimed, music blasted from the speakers, and the crowd erupted with screams, fists pumping in the air. In the windows of the nearby Salesforce East and West towers, employees watched the concert, happily dancing along. Trailblazers clockwise from top left: Hera Donaldo, Mara Lane, Bradley Robinson, Jessica Marr, Sarah Franklin, and Eric Chen. Trailblazers clockwise from top left: Aaron McGriff, Becca Krass, Jenhan (Jonathan) Yu, Karen Mangia, Alita Eaton, and Selena Manno. 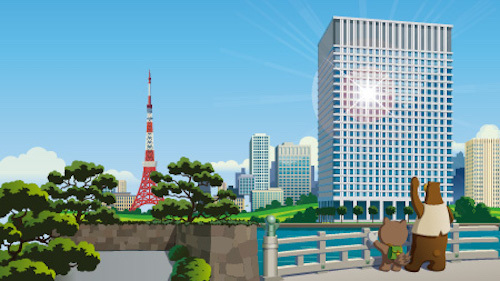 "Salesforce has quite literally changed my life. A year ago, I was unemployed. I spent my days binge watching Netflix and eating Cheetos while trying to figure out what's next. I had a handful of Trailhead badges and didn't even know what a Salesforce Admin certification was. Now I'm a Trailhead Ranger, Certified Admin, happily employed as an #AwesomeAdmin and helping inspire the next generation of Trailblazers. 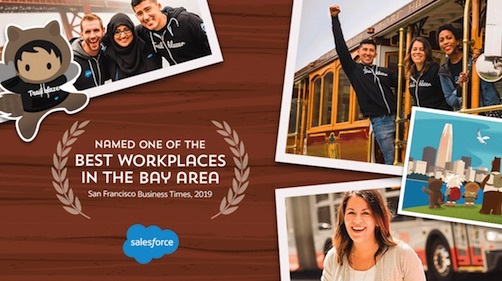 I'm so grateful to Salesforce and the incredible Trailblazer Community friends, mentors, and champions that have supported me every step of the way." – Aaron McGriff, Salesforce Business Systems Analyst at Masco Cabinetry, Ann Arbor, MI. "I've been happy to work for other companies, but I have never been so proud to work for a company before. The culture of giving and caring for others is like nothing I've seen before at any other organization. Be it MLK Day, Pride or Women's History Month. 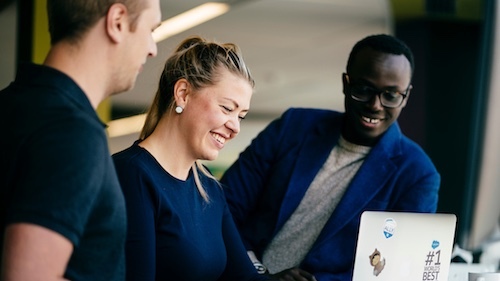 Salesforce is always there and showing how strongly they support every single person and group in their community. This was most apparent to me on the MLK march last year. As I walked down the street with the other marchers, I looked to my left and saw our Co-CEO, and I looked to the right and saw another Salesforce President, both marching with everyone else. Taking the time to do this shows the how deeply our commitment to community and giving really is." – Darrin Underwood, Salesforce global on-boarding enablement manager, San Jose, Calif. It's been an amazing 20 years! Going forward, we have much more we want to accomplish. In the next 20 years, it will be our values — trust, customer success, innovation, and equality — that lead us down the right path as we continue to be a platform for change and a beacon of light for all our Ohana and Trailblazers. Together, we will work to ensure that the business of business is to make the world a better place. We're hiring across the globe. Join our team today! Stephanie Lottridge and Jeff Elder contributed to this article.